Why We Worship where I considered an attribute of God each Sunday. At different times people mentioned to me about a song that a post reminded them of so I thought that I would now go through those attributes again with a song for each one. So I'm following the weeks of Why We Worship from last year and I hope you will follow along with me. What a nice idea, thank you for this! They recently added a Christian rock station to our area. I enjoy the songs! I haven't heard this song in so long that I completely forgot about it! Thank you so much for sharing. 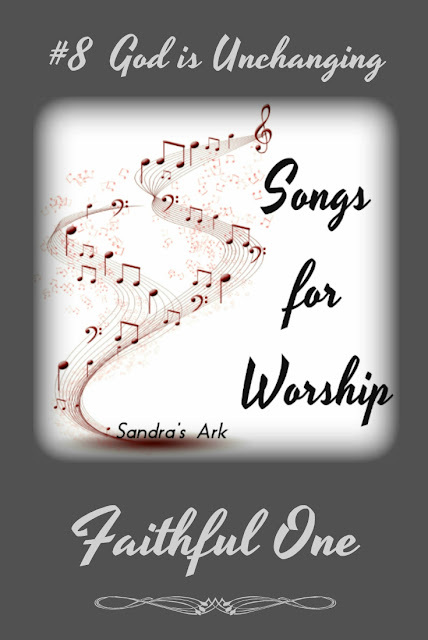 I love this worship song, He truly is my Rock in times of trouble. I'm not familiar with this song, but it's beautiful. I love the acoustic accompaniment, not to mention the timeless message. Thanks for sharing this at Grace & Truth! 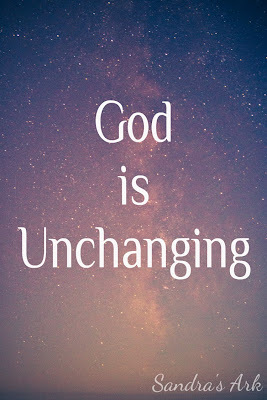 Powerful words and needed words tonight-Our God is unchanging! My hope is in Him alone. Thank you for joining us at The Weekend Brew. Such a beautiful song. Thank you for sharing! I love the lyrics to this song.